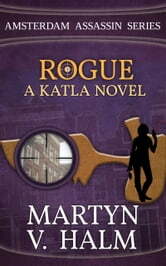 Freelance assassin and corporate troubleshooter Katla Sieltjes runs her business of disguising homicide below the radar of law enforcement, but when her latest target is a judas goat intended to draw her out into the open, the hunter becomes the hunted. Fooling local law enforcement can be challenging, but hiding from intelligence communities aiming to enlist Katla for their dirty work might prove impossible. With Homeland Security, DEA, and the German BKA joining forces with Dutch Intelligence in an effort to track down Loki Enterprises, not only Katla’s future is threatened, but also the lives of her lover and his friends. 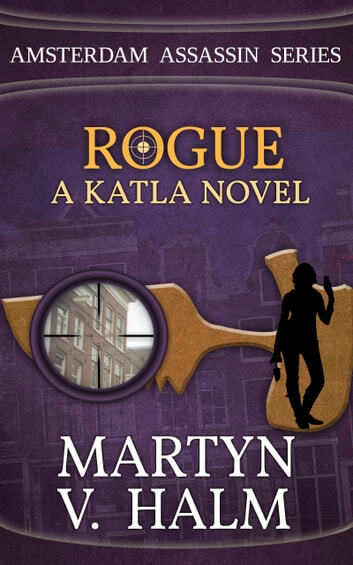 Rogue is the third novel in the Amsterdam Assassin Series. With authentic details and brisk action against the backdrop of the notorious Dutch capital, featuring a devious heroine and a supporting cast of singular characters, Rogue gives a rare glimpse into local Dutch culture, international terrorism, computer hacking, forensic sciences, martial arts, foreign intelligence services, the psychology of social engineering, and the brutal efficacy of disciplined violence. This e-book features a glossary. Thanks again Mr. V. Halm for ruining my sleep with this highly entertaining and recommended story.